Hello there. 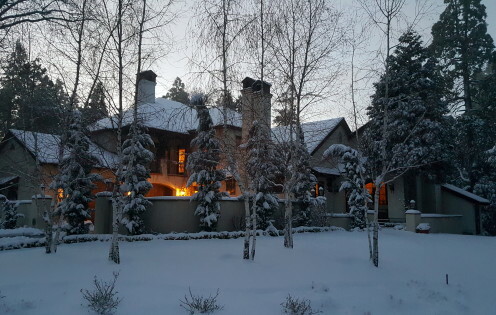 Back in January I wrote a blog post entitled “A Beautiful Winter Wonderland” in which I stated that El Niño had kept his promise and brought snow to Lake Arrowhead. 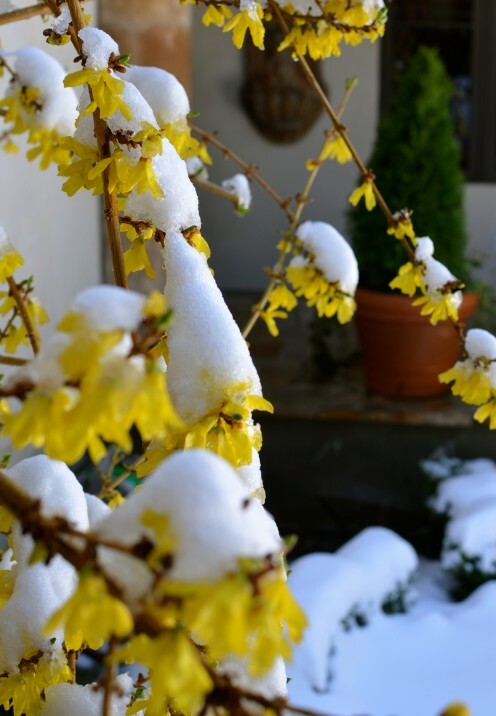 Well, as it turns out, we have had a somewhat disappointing winter here in SoCal as we haven’t gotten any more significant snow since that time. That is until yesterday. 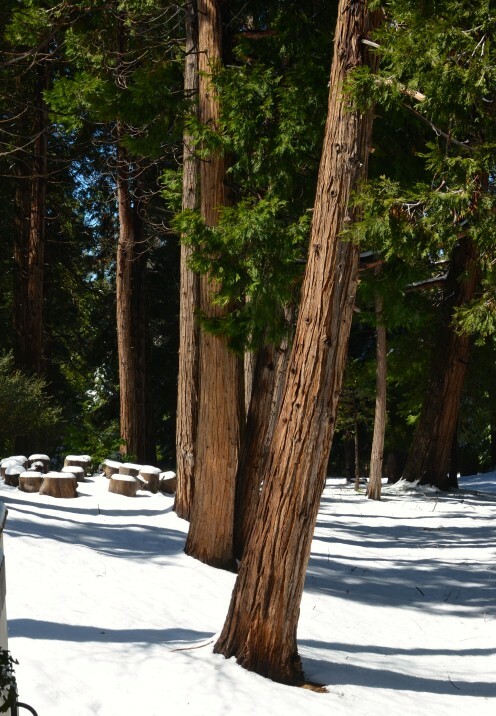 It might surprise some folks, but snow is one important reason why I love living in Lake Arrowhead. So I say bring it on! Last night, as the sun was setting, my husband snapped this photo of our front yard. While it’s true that Mother Nature has finally brought an end to the long drought we have been suffering in California, it really only applies to Northern California. 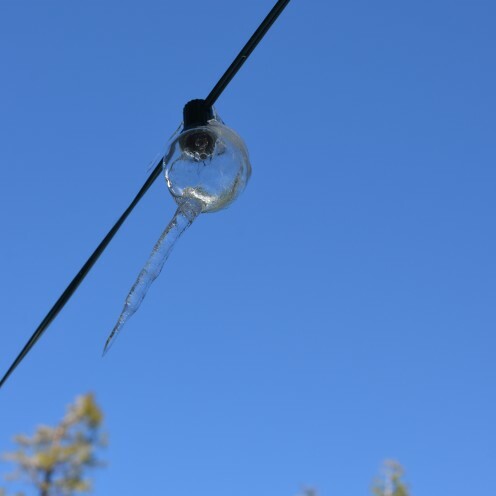 Here in the San Bernardino mountains we have received less than the normal amount of snow and rain for this time of year. And as a result, Mother Nature has confused the plant life in my garden. 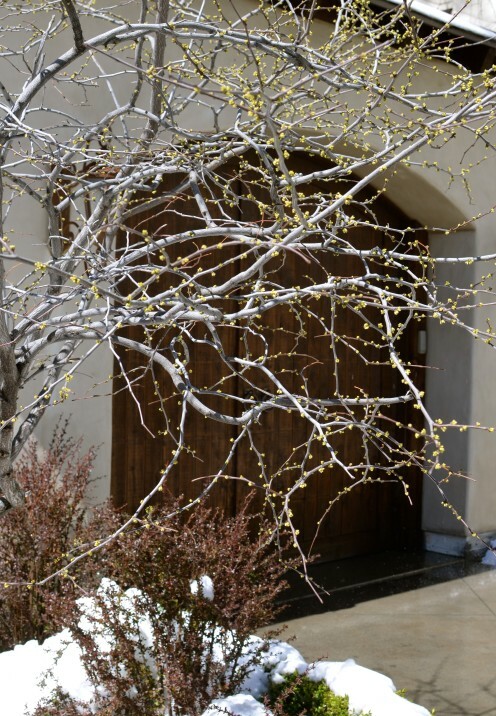 The record-breaking warm weather we’ve had caused my trees to start flowering prematurely. I’m sure this will not bode well for my fruit bearing trees. But believe me, I’m not complaining! 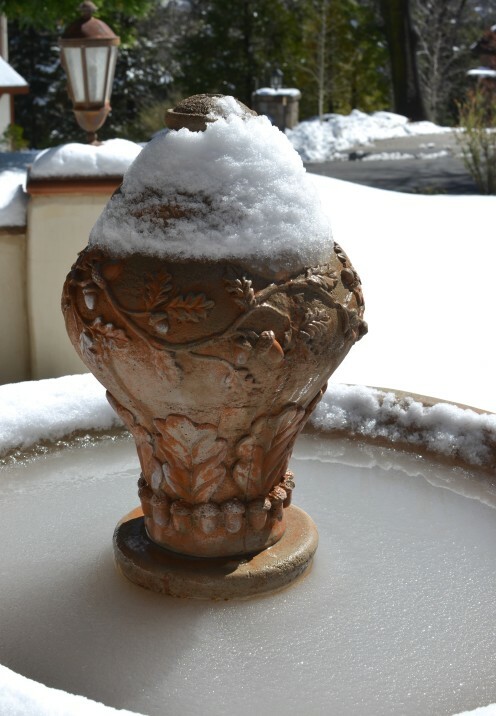 For me there is nothing more enchanting than waking up in the morning to find that my fountain is now a delicious looking Slushy that I almost want to dip a straw into. 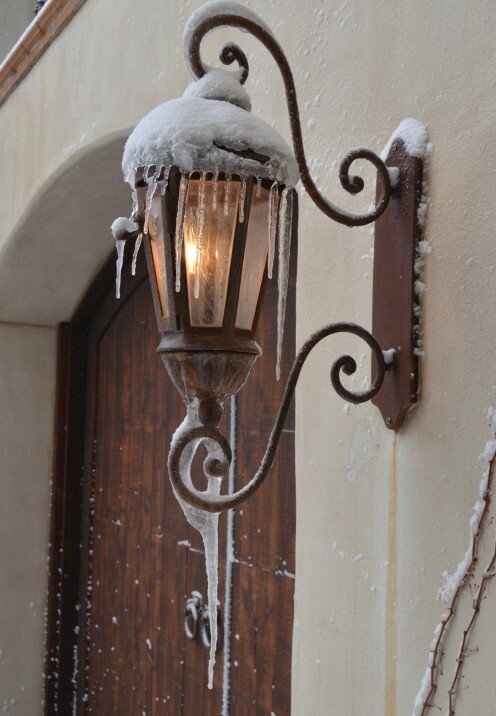 And I love how icicles form on my wrought iron light fixtures. My rose bushes were also coming to life again, sprouting delicate new leaves. Good thing roses are super hearty plants, and mine seem to thrive under harsh conditions. 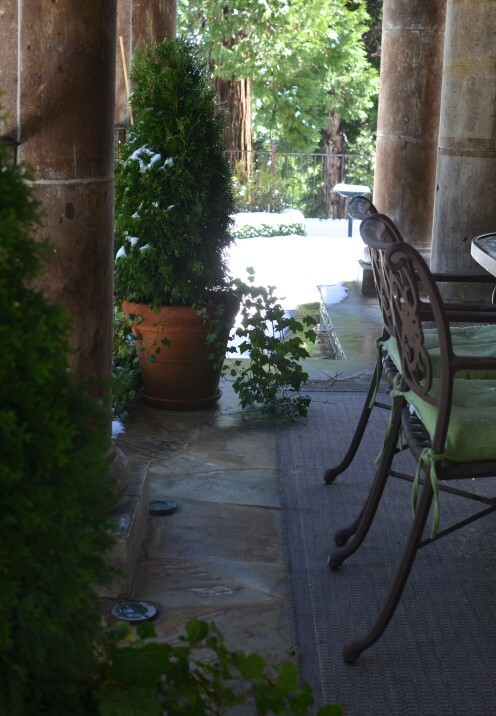 And while today is proving to be bright and sunny, I know it’s too early to start thinking about dining on the terrace. 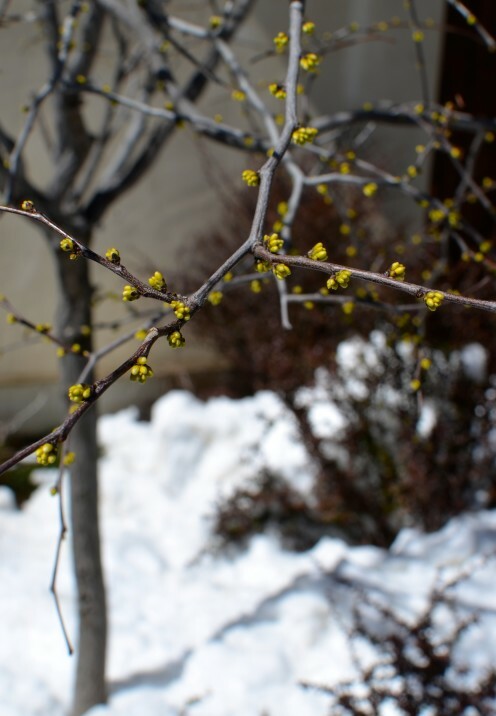 But since I’m denied such luxuries in the winter months, it gives me something to look forward to in the Spring. 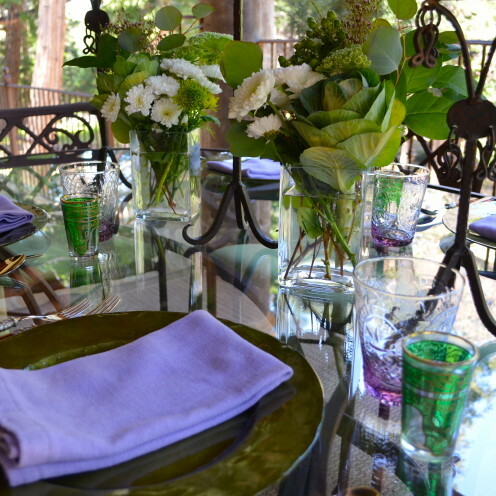 And while I love the snow, I’m kinda hoping we might be able to have Easter Supper on the terrace again this year. 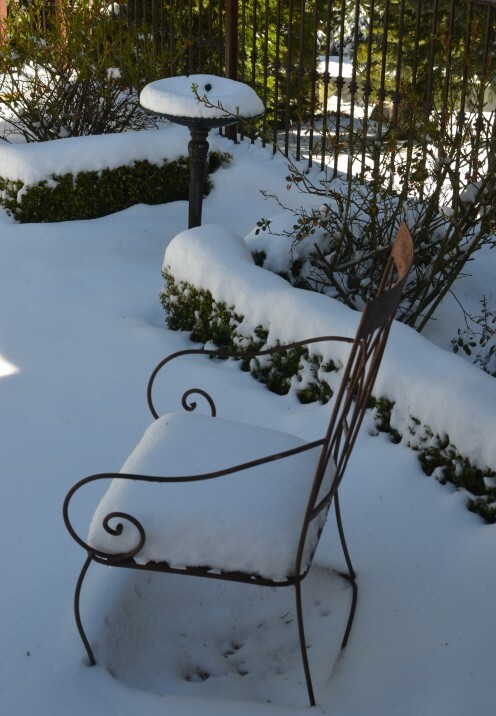 I imagine by then the snow will have melted away, and the birds will be enjoying their bird bath again. 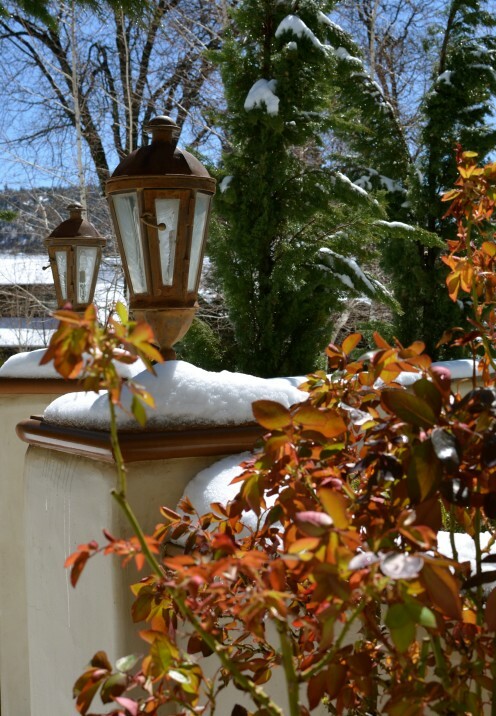 And the string lights that decorate the courtyard and leave shadows in the snow will no longer be dripping in icicles. 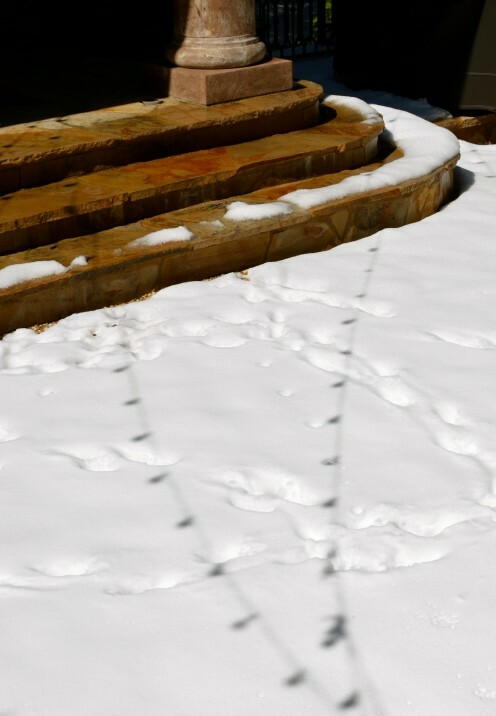 And Charlie dog will no longer track snow in the house after he’s tracked through the snow covering his playground. 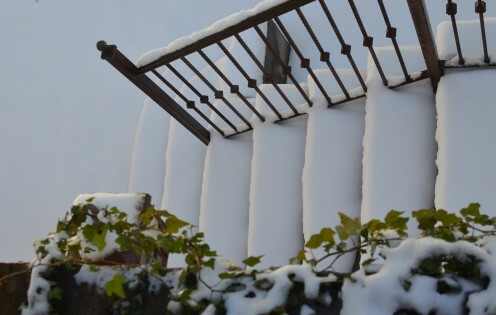 The green ivy that tumbles down my back staircase will no longer be blanketed in white. 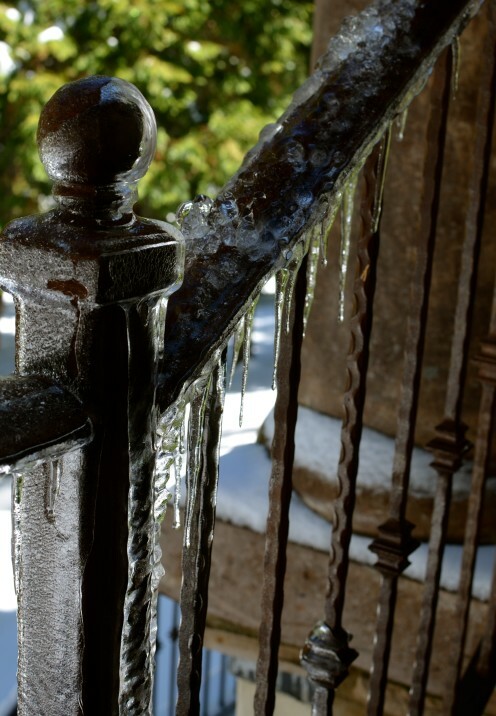 And the icicles on the handrail will have melted as well. 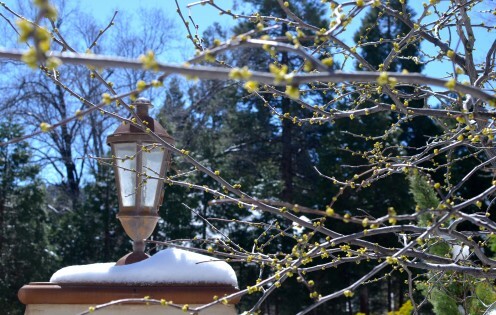 These are the things I love about winter, and are the reasons why I love living in Lake Arrowhead.